BlueStacks for PC is the best Android app player that’s everyone’s number choice to run Android apps on computer. BlueStacks for PC Windows and MAC is best performing and most stable Android emulator for desktop PC and laptop. BlueStacks plays all Android app including messenger apps, productivity apps, 3D games and more on PC. But like any other software BlueStacks can encounter errors. One of the most common being reported by BlueStacks for Windows PC and MAC users is BlueStacks stuck on initialization error. Here we have brought some solutions that you can try to fix BlueStacks stuck on initialization error on Windows 10, Windows 7, Windows 8/8.1, Vista (32-bit/64-bit), XP (SP2 or later) and MAC desktop, laptop or tablet. Here are some of the reasons that might be behind BlueStacks getting stuck during startup or initialization on your device. 1 – You are on older version of BlueStacks or maybe its not properly installed. Always use update BlueStacks version as it contains bug fixes and security patches making it run smoothly on PC. See links below to upgrade to the latest BlueStacks versions, and see how to properly install them. 2 – .Net Framework is not installed on your PC. Download .Net Framework on PC. 3 – If administrator privileges are disabled, BlueStacks stuck error may arise. 4 – BlueStacks initialization error may occur because of outdated PC hardware, graphic card, low memory or slow processor. 5 – Mostly this error happens on Windows XP and Windows 8, so upgrade to newer version. BlueStacks stuck on initialization error can arise on Windows 10, Windows 7, Windows 8/8.1, XP, or MAC. If this error occurs, try to resolve it by restarting your PC to see if that works to fix the error, if not, then see some solutions below and try them to fix BlueStacks error. See steps below to fix BlueStacks initialization error on computer. After trying it on our PC, we found it to be perfectly working in fixing the BlueStacks startup error. 2 – Launch the ‘BlueStacks Thininsaller.exe‘ file to install it on computer. 3 – After installation, open installer.exe. A welcome screen will greet you on startup. 4 – Now press the ‘continue’ button on the lower right corner of the window. 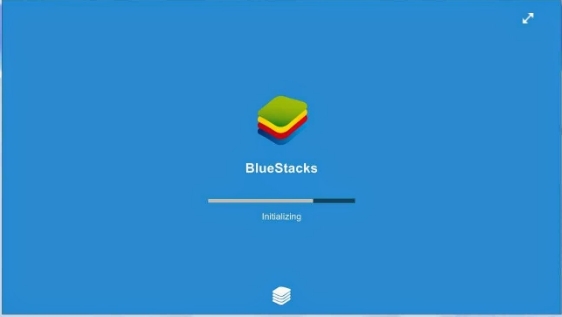 The window named ‘Installing BlueStacks‘ on the top will appear on the screen. 5 – In the center of the ‘installing bluestacks’ window, you will see the ‘Select BlueStacks Data Location‘ field. By default its location is ‘C:ProgramData‘, delete it and type ‘C:\Program Files‘ in the next string. 6 – Now hit the Next button. This works on most occasions. But in rare cases if this solutions doesn’t work, try running only BlueStacks on PC/laptop and close all other programs to free up system resources on older computers. Or update to the latest versions of BlueStacks or .Net framework, see link above for it, or enable administrator privileges. If you know of any solution, do share in the comments section below.